WordFly's Geolocation reporting provides a visual guide to where your subscribers are opening and clicking your emails. Where can I see Geolocation reporting in WordFly? What do the colors represent on the Geolocation map? How are the Geolocation targets created? Find Geolocation reporting in any email campaign sent after October 2014. 2. Click on the campaign name you would like to review. 3. 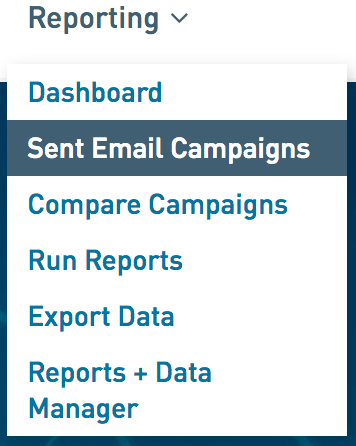 When the campaign results load, select the Locations icon. Once Geolocation has loaded, you can interact with the map by zooming in and reviewing location targets. Hold your cursor on the map and pull the map up, down, left and right to move the map. Use the zoom toggle on the left side of the screen to zoom in and out on the map. Click the plus sign to zoom in for a micro-level view of a region. Click the minus sign to view your map at a macro-level. Use the data toggles just above the map to toggle between opens, clicks and unsubscribe data. There will be 3 main colors present on the map: Red, Orange and Blue. The colors each represent a concentration of subscribers. Each color target will vary in size depending on the traffic in that specific region. Zoom in on a region and the color clusters will disperse to show more granular geolocation targets. We are aggregating location data points by common coordinates. We are not using unique coordinates for each open, click and unsubscribe event because of device caching. For example, if an email is opened in one location on a mobile device and later opened in another location on a laptop, there would be two separate locations recorded. Instead we will aggregate the common coordinates to give us much smaller data sets that will more appropriately reflect the true accuracy of the location data. We also considered Gmail image caching when we decided on our approach. Starting in 2014 Gmail started caching images on their servers in order to serve those images from a common source. This means the location we receive for Gmail events is the Google server location and not the accurate location of the subscriber. We are currently isolating Google server locations while we collect geolocation data. Once we have enough data we will blacklist Google IP's to remove any discrepancies the Google servers may bring to the location data we provide. Geolocation in WordFly is currently an interactive visual guide. 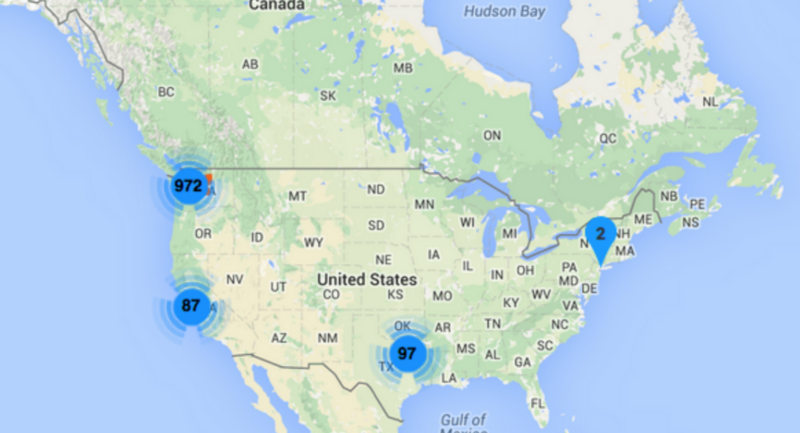 Use it now to see trends around your subscriber locations. You will have a much better idea of where you have the highest concentrations of subscribers. This data will help you make high-level decisions about targeting subscribers in regions. In the future we plan to have the ability to segment by geolocation data. We are currently collecting timezone and email client data for subscribers. Once we've collected enough data, we will use this to create accurate location information for subscribers.